On International Women’s Day, police used violence to prevent a group of approximately 50 women (an association against the murder of women), denouncing domestic violence against women from entering Gezi Park at Taksim Square in Istanbul. “In the aftermath of their violent removal from Gezi Park, hundreds of women gathered at Galatasaray Square before attempting to march on Taksim Square despite a steady downpour and cold temperatures. The demonstrators, who frequently chanted “Tayyip, escape, woman are coming” in Turkish and “Women, Life, Freedom” in Kurdish, advanced as far Zambak Street before they were met by a cordon of riot police. Police used their shields to shove a number of those that had reached the security force’s lines before organizational leaders called for a retreat toward Galatasaray,” the Hurrieyet continued. Since the Gezi Park uprising began on May 31 of 2013, police often block off access to Gezi Park and Taksim Square’s central monument at the whim of the province’s governor, Hüseyin Avni Mutlu. The protestors are met with violent, military-style brutality, complete with chemical weapons like teargas, under Mutlu’s instructions. The Gezi Park Occupation originated when civilians objected to the decision of the government to raze and develop the last public green space in Istanbul. The protest surged when the fans of three football teams took their energy and support from the huge, filled stadium to the park and united forces with the people there. Met with extremely brutal push-back from riot police, demonstrators went as far as to write their names and blood types in indelible marker on their arms, fearing the worst and wanting medics to know something should the unthinkable happen. This 18 minute video report will take you inside the uprising, giving voice to the thousands of people who continue their united struggle for democracy in Turkey. A video from June 2013 describing the situation in Istanbul as it was at that time. The uprisings quickly spread to over 60 cities in Turkey, and the struggles continue today. 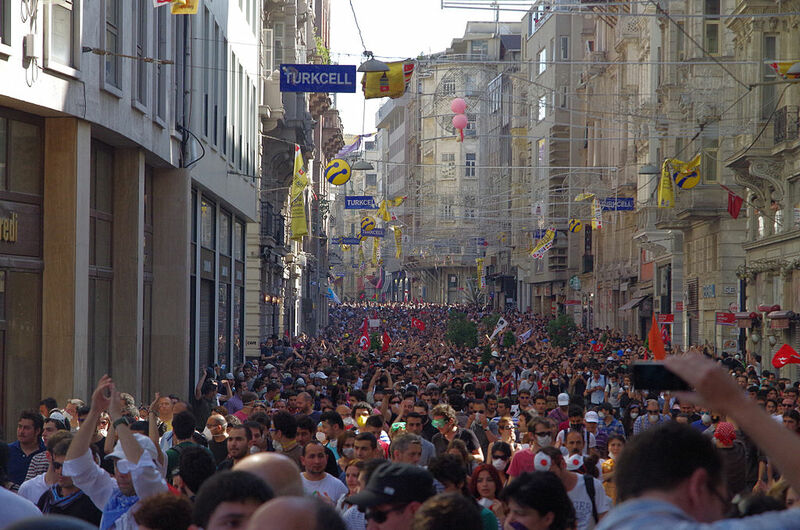 Occupy World Writes stands in solidarity with the demonstrators of Gezi Park, the people of Turkey and northern Kurdistan, and all those who support the right of people to assemble and make redress of grievances against their governments who have failed them. 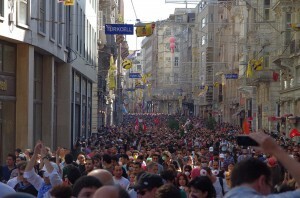 This entry was posted in Demonstrations & Protests, Government, Human Spirit and tagged Ankara, Democracy, Istanbul, Kurdistan, Occupy, Protests, Turkey on March 11, 2014 by MNgranny. More Kurds should read these posts. I learn a lot from reading these articles. Thank you!